Gujarat Vidhya Sabha, Gujarat Sahitya Sabha, and Gujarati Sahitya Parishad are Ahmadabad-based literary institutions promoting the Gujarati literature.Literature in Gujarati is sometimes also classified into two broad categories, namely poetry and prose, the former savoring and basking in its long lineage, dating back to the 6th century. Poetry as a perception was a medium for expressing religious beliefs and judgements, a stronghold of medieval Indian times. In this context of gradual evolution, the history of Gujarati literature is generally classed into three broad periods, consisting of the Early period (up to c. 1450 AD), the Middle period (1450 to 1850 AD) and the Modern period (1850 AD.on wards). However, Gujarati literature and its tremendous maturation and proficiency in contributing to culture is retraced back to sultanate days (referring to the Muzaffarid dynasty, which had provided the sultans of Gujarat in western India from 1391 to 1583)from 1981.. Here you can get most important 17 pdf file about Gujarati sahity jagat. 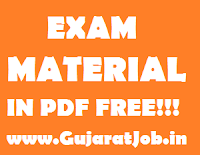 In this files youcan get more then 85 Gujarati Poets & Authors Full introduction.these all file are most useful for upcoming Talati,Gram sevak,clerk & mphw exams. this material created by tet htat guru. more study materials for competitive exams coming soon. stay connected with us. 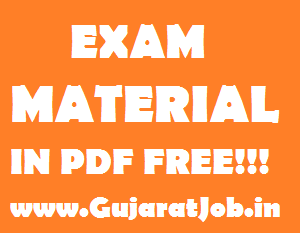 Download Gujarati Prachin Sahity Part 2- All Competitive Exam Useful Study Materials..
Download Gujarati Prachin Sahity Part 1- All Competitive Exam Useful Study Materials.